Its few months before Microsoft officially make announcements on the SharePoint 2016 version which we can assume will happen at Ignite event to be held in Chicago. After going through several articles including the one at office blog, I thought of making some predictions on 2016 capabilities that will matter of the developers and designers. Prior to SharePoint 2010, there was Farm solutions only. But with SharePoint 2010 they introduced the Sandboxed Solution concept which went no where to meet their expectations. So they cam with a well promising App model which is fantastic and have much capabilities while have certain limitations. Apps is a signature concept for SharePoint 2013 so I think they will live with it for another version or two at-least. One of the key areas of interests for Microsoft is the Lync and Exchange integration. Therefore the existing APIs may expand in order to support integration with many other products including the two mentioned above. One cool feature announced at the recent Lync Conference was the VOIP calling integration to the websites as plugins. How nice it would be to have such feature within SharePoint? With the design manager in SharePoint 2013 Microsoft introduced the options for device channels and create master pages for it. Then page layout components to omit or change according to the device channel. This is quite exciting and it is expected to improve a lot in future. So there will be more features or enhancements to the existing features when it come to the UI design and development. End of the day there are many customers who do not like SharePoint to look like SharePoint. 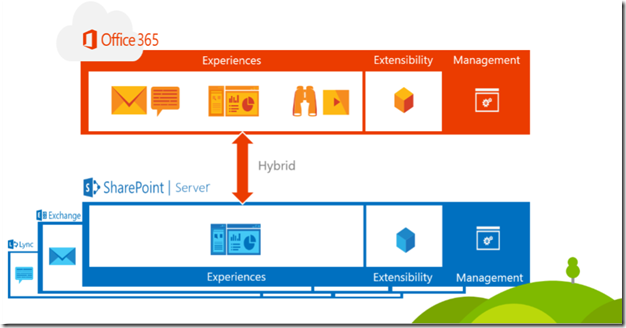 These are predictions based on what I saw and heard about the new capabilities on SharePoint 2016. To know more wait till Ignite shall we?